I think this view misses a few things. IBM has very deep relationships with its customers, who tend to be large organizations that need or want IBM’s help with information technology. IBM also dominates mainframes, and has a very strong position in middleware. IBM is a very high return on investment business, with lots of opportunities to reinvest for future high returns. I believe IBM’s key strength is its relationship with customers. IBM is deeply embedded with large organizations who use its hardware, software and services. These customers prefer to “not get fired” because they buy from IBM, but they also have legacy systems that are very difficult to replace. 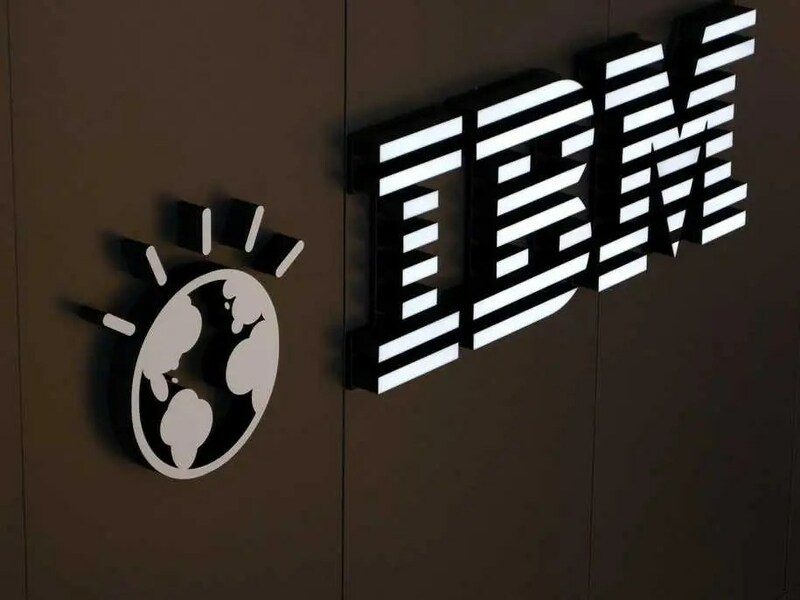 IBM is there to hold their hand when it comes to information technology, and that is why many, if not most of them, will continue working with IBM. They trust IBM to help them with their information technology decisions and implementations. Part of the reason IBM is so embedded is that many large organizations still use IBM’s mainframes: 92 of the top 100 banks, 10 of the 10 largest insurers, 6 of the 10 largest retailers, 23 of the 25 largest airlines. Most of these organizations started using mainframes decades ago, and have legacy code that would be very expensive and difficult to move off IBM’s mainframes. Feature-wise, mainframes are very reliable (reboot time in years, not weeks), high security, and extremely fast (especially for the type of processing such organizations do). IBM is dominant in mainframes (~90% market share) and that’s unlikely to change soon. IBM has the highest market share in middleware at present, too. This is the software that links software components or enterprise applications with each other. IBM’s middleware allows other programs to work together, and that connection is extremely important to IBM’s customers. Gartner’s most recent report showed IBM with 29% market share, far ahead of Oracle’s 14%. This position is likely sustainable because of how integral middleware is to large organizations. Software is 28% of IBM’s revenue, but 48% of their pre-tax profits. Software really matters for IBM and its customers. IBM generates very high returns on its investments. It doesn’t take a lot of capital to provide IBM’s hardware design, services or software. By my calculations, IBM generates 35% returns on net assets, 42% returns on capital, and 84% on net tangible assets. Although these numbers have been trending down recently, the decline is not precipitous and they demonstrate the high return nature of IBM’s business. I believe these opportunities will continue into the future because the nature of IBM’s business and its underlying stability hasn’t fundamentally changed (many disagree with me on this–seeing tech obsolescence as IBM’s key problem; I have more to say on this below). And, that’s an important key to understanding IBM: the nature of its business. IBM is first and foremost an enterprise information technology company. It is not trying to dominate all markets, just the markets where IBM has value to add and the returns are high. Much of IBM’s business is service-oriented. That work is usually based on long term contracts that allow for predictable allocation of assets and returns on investment. Importantly, IBM seems to have institutionalized high productivity innovation and financial discipline. IBM has led the world in patents for 20 years, which just shows how important innovation is at IBM. Not all of those patents are productive or successful returns-wise, but it does show how even a large organization can put innovation at the center of its culture. This culture does not make it omnipotent, but it does lead to high value products and services–in other words, many high return, future investments. When IBM does miss a technological change it views as important to enterprise information technology, it doesn’t tend to suffer from not-invented-here. Instead, it acquires the technology it lacks, and does it with financial discipline. By this, I mean IBM doesn’t pay a price it can’t get a good return on. It prefers to buy smaller companies that haven’t expanded internationally, such that IBM can recoup its investment by putting its global sales force to work selling the technology just acquired. IBM’s financial discipline is on display with its returns on capital and acquisitions, but also with its capital allocation between reinvesting in the business, paying dividends, issuing/repaying debt, and buying back stock. IBM has been justly criticized for buying back stock up to 43% above its current price level, but I think this misses IBM’s attitude toward reinvesting in the business that focuses on investment returns (I judge the organization on their process and discipline as well as their successful implementation–no one gets it right 100% of the time). That focus and discipline is rare, especially for a technology company. The cloud is where IBM has felt the most criticism, recently. The story is that IBM missed the transition to the cloud, and that it can’t catch up to new businesses native to the cloud, or further ahead in cloud implementation. But, I think this misses the nature of IBM’s business and its customers. I don’t think a top 10 bank will jump to a cloud database solution any time soon. They want IBM’s legacy mainframe system paired with the cloud in a hybrid configuration (as much to maintain security and regulatory requirements as to prevent having to recode their systems of record). Many or most of IBM’s current customers are in similar situations with similar concerns. IBM is very likely to be a trusted partner showing them the way. IBM’s numbers have looked weak or even terrible over the last couple of years. Part of the reason is due to currency: much of IBM’s top line comes from outside the U.S. (66%) and the U.S. dollar has appreciated over 20% over the last year. IBM has also been aggressively selling off lower return on capital businesses: retail store solutions in 2012, customer care, showcase reporting, ACG and Cognos ADT in 2013, and microelectronics, industry standard servers, solidDB, Cognos Finance, IMS Tools Suite, Sterling Transportation Management Systems, ILOG JViews, Ilixir Visualization, Focal Point and Purify Plus in 2014. These divestitures have hurt both the top and bottom line, but have also raised profit margins. Adjusted for these divestitures and currency moves, IBM’s numbers look much better, though not wonderful, either. And, I think this is the heart of the investment argument for IBM. There is little doubt that revenues haven’t been growing, but is that already factored into the price? It seems to me that it is. IBM’s last 4 quarter sales per share were around $87. The adjusted net margin (adjusted for discontinued operations and a few other small items) over the last 12 months were around 17.5%. My base case assumptions are 0% sales growth, 1.5% net margin growth, and 2.5% share buybacks. Hanging a 12.5x multiple on that (4% earnings per share growth) I come up with a price of around $190. My below base case scenario sees -2% sales growth, 1% margin growth and 2% share buybacks (the low end of management’s expected range). Hanging a 9x multiple on that (1% earnings per share growth) looks like a $137 price. My above base case scenario envisions 2% sales growth (the low single digit number management claims they can achieve), 2% margin growth (going from 17.5% net margin to 18.5% over the next 3 years based on moves to higher margin hardware/software and services) and 3% buybacks (the top end of management’s expected range). Hanging a 16x multiple (7% earnings per share growth) gives a $244 price. If I give a 25% chance to the poor outcome, a 50% chance to the base case, and a 25% chance to the better outcome, that looks like a mid-teen return (I assume dividends grow at the same rate as earnings per share). That looks pretty interesting considering that the S&P 500 looks like a mid-single digit return from here. IBM’s price seems to factor in the key issues a bit too harshly. Looking at Wall Street’s estimates, other analysts seem to be in the same ballpark with my assessment for earnings, which seems to indicate that the multiple and growth are where our opinions differ. I think a 10x multiple is too low for a business like IBM, but Wall Street seems to think it will stay there. If IBM executes as I believe it will, mostly because of its relationships with customers and embedded products and services, I think other investors will end up agreeing with me and rewarding IBM with a higher multiple. As for growth, I don’t think IBM needs top line growth to grow value per share. Growing margins and executing buybacks at smarter prices–two things IBM has done well in the past (although not every time)– should lead to low to mid-single digit growth in earnings per share. That, too, would indicate a higher multiple. I have deliberately stayed away from describing IBM’s upside. Watson could prove a solid money maker and revolutionize computing. So could IBM’s specialization in analytics, growth in hybrid cloud, or efforts in security and engagement. I don’t think IBM needs these things to go right to win, but if it does, it provides more upside. What could go wrong for IBM? Technological obsolescence: the cloud could evolve to provide the same level of speed, reliability and security as mainframes but at lower cost or with greater convenience. Or, IBM’s relationships with customers could be sundered by competitors or substitutes able to best IBM’s services. I don’t think either threat is imminent or very likely, but either could make inroads over time that could build into bigger competitive difficulties for IBM. I am watching IBM’s numbers closely to see if this has or is happening.